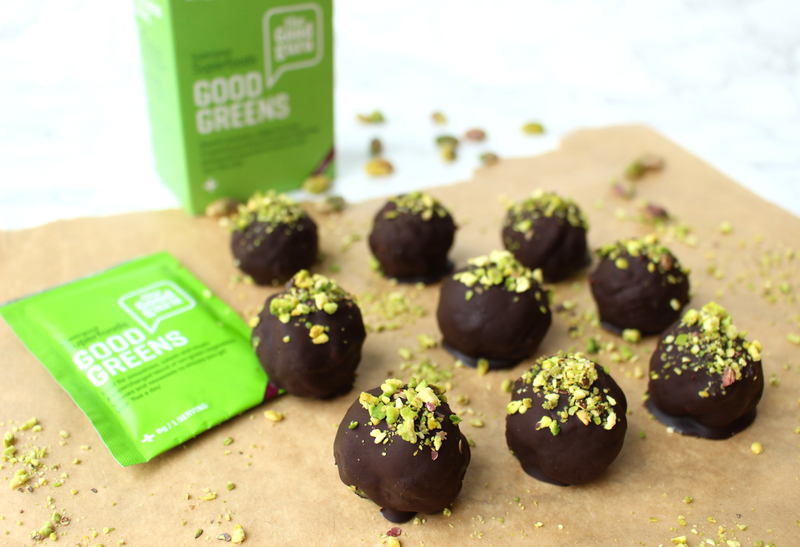 These Pistachio & Good Greens Truffles are like classic chocolate truffles; they're wonderfully rich, luxuriously chocolatey and incredibly more-ish. 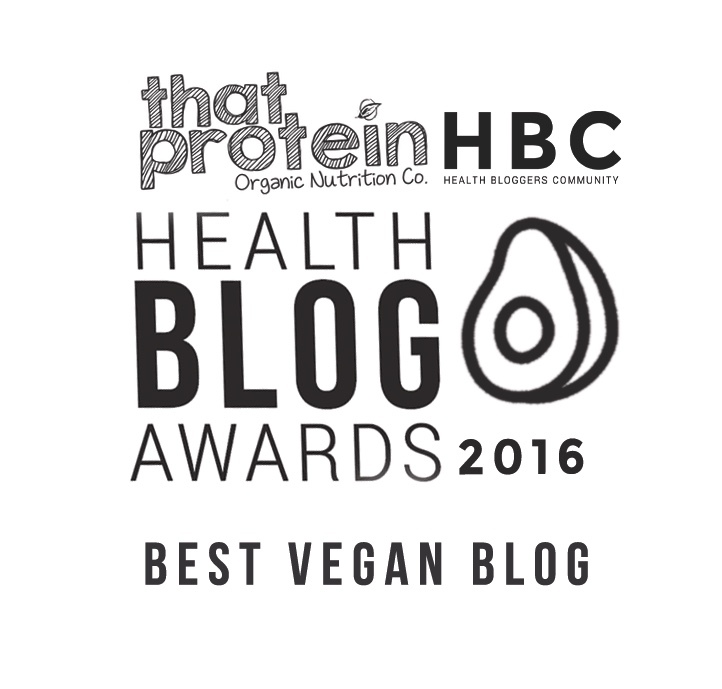 Unlike classic chocolate truffles they're made with entirely healthy, unrefined ingredients and are free from gluten and dairy! 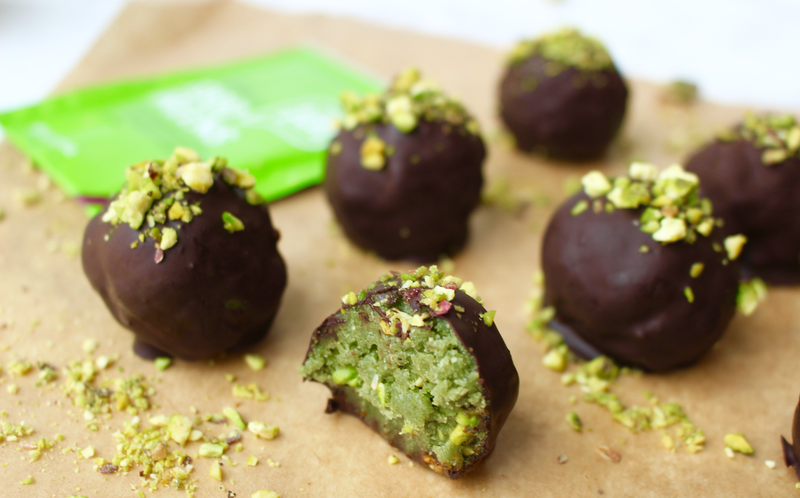 Isn't it just a dream to eat something as decedent as pistachio chocolate truffles and know you're giving your body a boost of nutrients too? This recipe makes that dream come true! 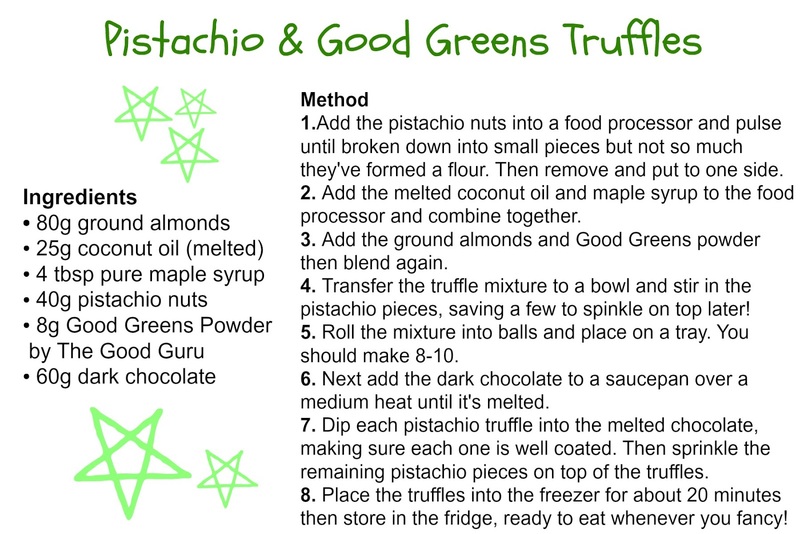 Not only are all the ingredients natural but I added a greens powder to the truffles centre. I used the Good Greens powder from The Good Guru which is full of all sorts of goodness and doesn't taste earthy or like grass (like many greens powders out there) as it's berry flavoured, which really adds something rather special to this simple yet mouth-wateringly good recipe. To make the truffle centre of these sweet treats I used ground almonds, which when blended with coconut oil and maple syrup creates a chewy, soft, delicious mixture. I then added in chopped pistachio pieces for a bit of crunch and the Good Greens Powder to give that amazing green colour, a subtle berry flavour and more goodness than you can imagine. 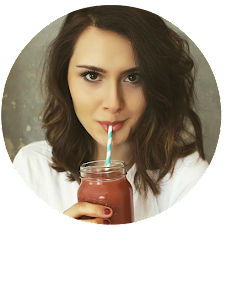 The Good Greens Powder by The Good Guru is crammed full of a variety of greens from the classic broccoli and kale to matcha green tea and moringa, making it full of an array of vitamins and minerals to keep your body happy and healthy! You can buy the Good Greens powder in handy 8g sachet packs - perfect for testing out or taking with you travelling. 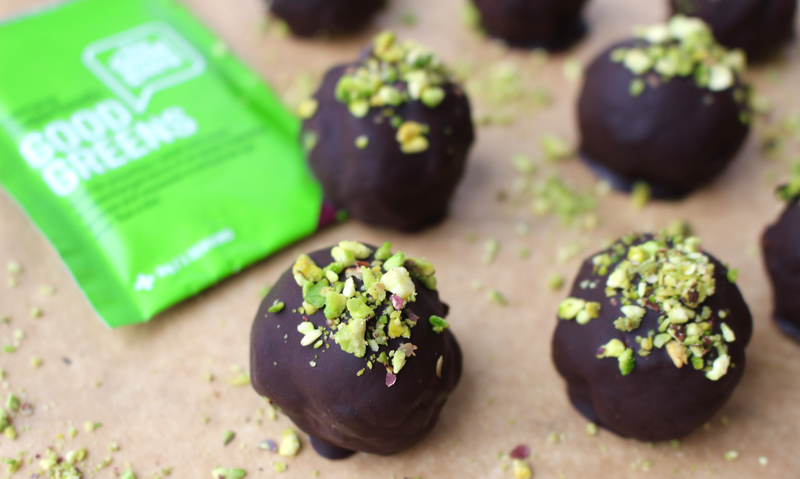 I dipped the truffles into melted dark chocolate and topped with more chopped pistachios to complete this healthy but indulgent treat!